Bohicket is a design-build general contractor providing turnkey commercial construction services in the Charleston and surrounding areas. We have relationships with many local Architects and Engineers and can build a qualified team of designers to make your design concept a reality. Already have a design team? 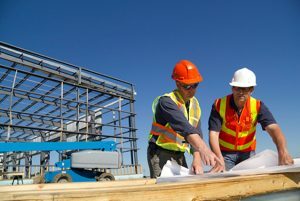 We offer preconstruction services to assist in budget development, scheduling, and value engineering to help reduce costs and shorten project duration. Involvement during early design stages can ensure the most appropriate materials are incorporated by considering material availability, performance, and cost. Our construction team is experienced in various types of commercial projects including office, retail, restaurant, call centers, medical offices, laboratory, light industrial, warehouse, storage facilities, institutional, hotel, resort, multi family, and vehicle maintenance facilities.